Bright red flower spotted!! 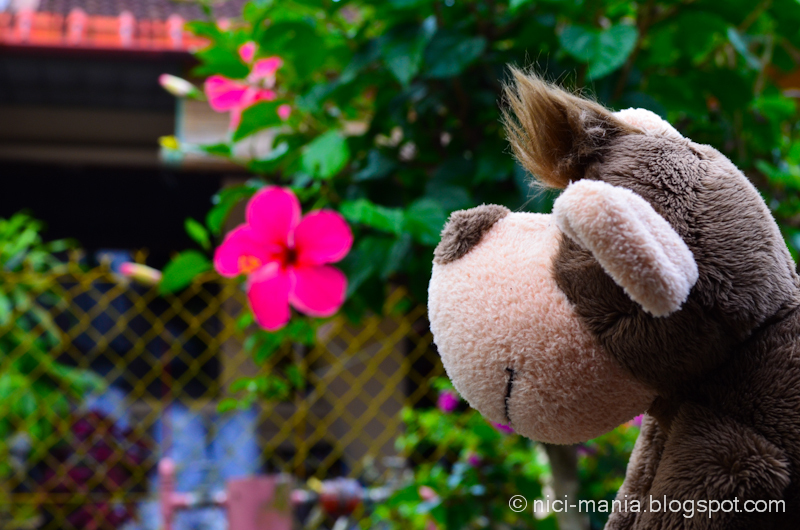 NICI Monkey is intrigued by the vivid color of this flower and went in closer to have a look.. 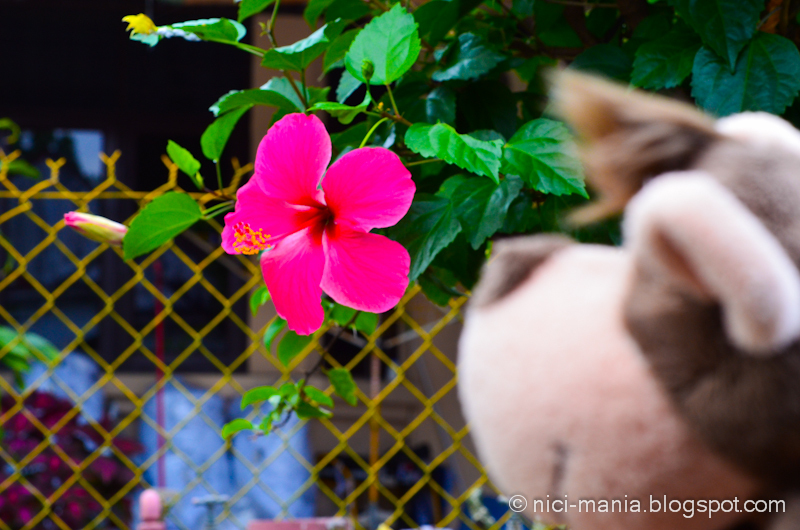 Upon closer inspection, NICI Monkey realized that this bright red flower is Bunga Raya or in English called Hibiscus. Bunga Raya is the national flower of Malaysia. Declared by the government of Malaysia to be the national flower in the 60s, Bunga Raya is the official Malay name for it. The Chinese people here called it the Big Red Flower due to the direct translation from the word Bunga Raya. Bunga means flower and Raya means big or grand. 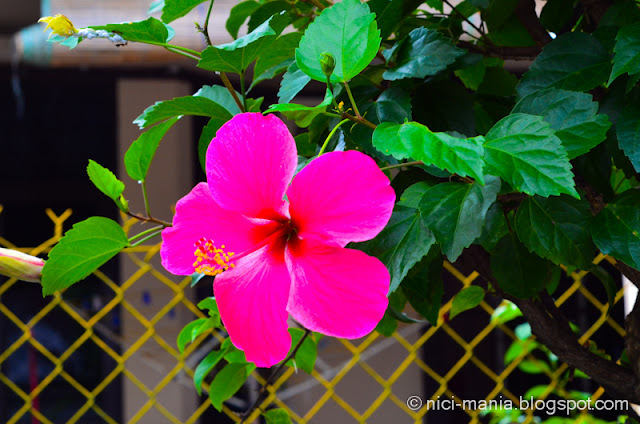 The red of the petals symbolizes the courage, life, and rapid growth of the Malaysian, and the five petals represent the five national principles of Malaysia. The flower can be found imprinted on the notes and coins of the Malaysian ringgit. Hibiscus rosa-sinensis or Chinese Hibiscus is the exact description of this flower. 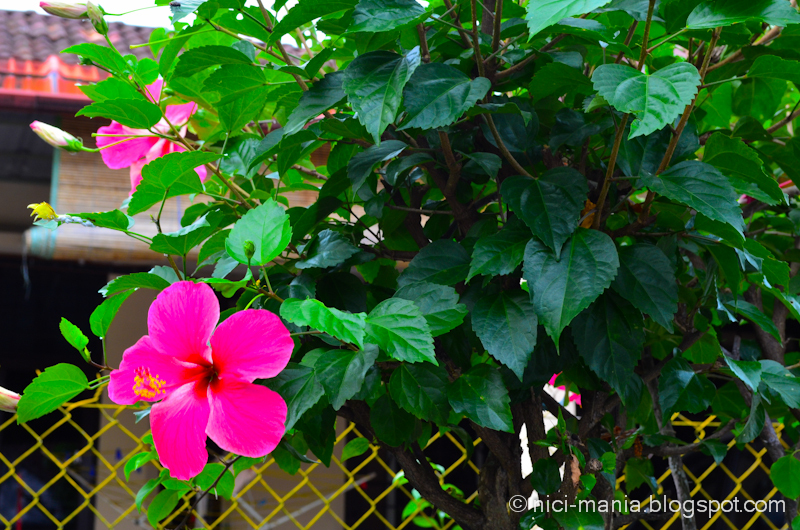 Coincidentally, hibiscus is also the state flower of Hawaii. How nice. Gotta go now, NICI monkey was just passing by someone else's house.